The Youngmans Alloy Builders 5 Tread Cl1 Step Ladder feature a unique strengthening beam which is incorporated into the non-slip treads.Lightweight and easy to carry, these swing back stepladders are ideal for trade use. 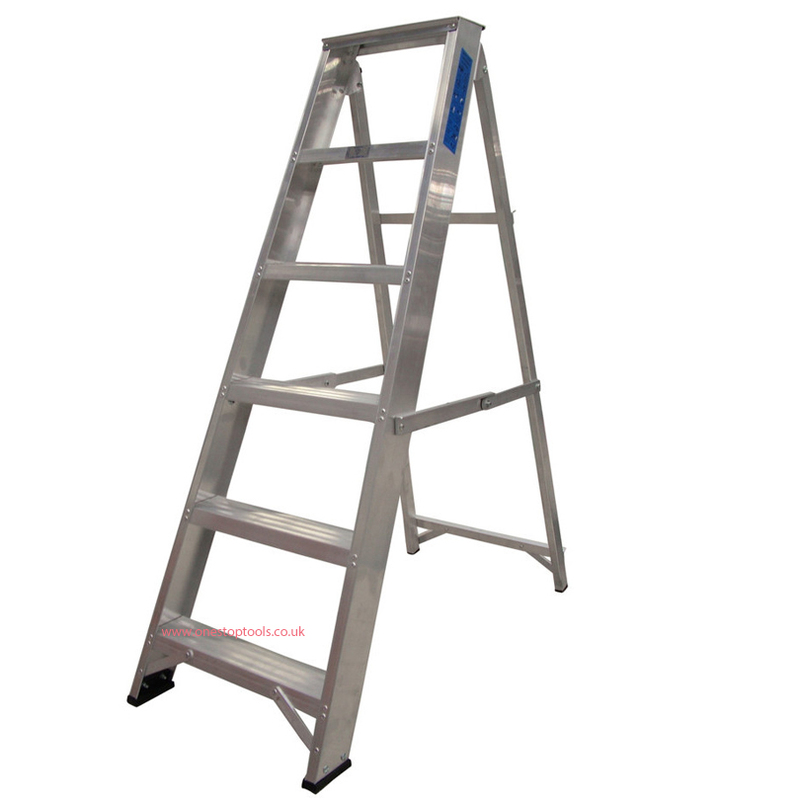 The Youngmans Alloy Builders 5 Tread Cl1 Step Ladder is kite marked BS2037 with a 175 kg maximum load. Simple, safe and easy to transport and use. Handrails can be fitted as an optional extra to either the left, right or both sides of the ladder.The Youngmans Alloy Builders 5 Tread Cl1 Step Ladder has a vertical load rating of 175 kg and a duty rating of 130 kg.